Maximizing profits for publishers requires the optimization of banner ads. The wrong placement of an ad can lower click-through-rates (CTR) and lead to plummeting revenue, and the worst part: not every audience will react in the same way. A site about real estate may find banner ads perform better above the fold, while a medical site may need to place a banner ad in their content to maximize revenues. What are the best strategies to optimize banner ad revenue? It depends on the website and its viewers. Some websites receive visitors that are ad-blind, so a text ad may work best, or an ad at the very end of the website’s main content may prove to be more profitable due to it’s placement. Change ad position and types. Optimize revenue based on user behavior. Track how placement affects revenue and user behavior. A: A control variant (one that is your basis for revenue). B: A split variant that will track your results. The A variant stays the same because it allows you to carefully judge the effect of a split test. This is a continuous process that must be ongoing. 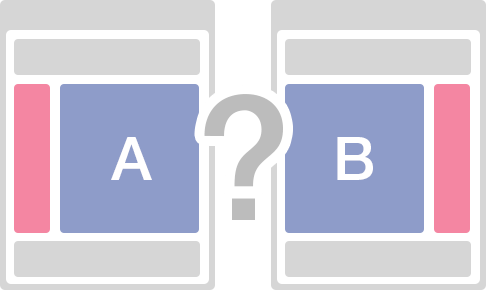 As your website evolves, you will want to continue conducting split testing to see what still works and what changes must be made to optimize revenue. Try different verbiage: Save 50% or Save $10 may perform better. While these measures may only pertain to affiliate advertising, they can still lead to major revenue boosts. Mobile ad spending is up by 50% in 2015. Why? People are using mobile devices to access the Internet instead of their PC. This means that those large banner ads that look great on a larger screen won’t look good on mobile devices. 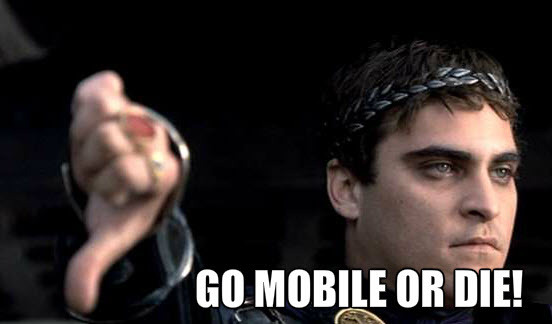 Mobile has surpassed the PC in Internet dominance. Integrating mobile ads into the mix is a necessity. If you’re using Google AdSense, you should at least be trying to incorporate anchor ads. These are ads (320×50) that anchor to the bottom of a user’s screen when they scroll up and down. Anchor ads are hard to ignore, but they also have user-friendly features, such as being able to be dismissed by the user. Consumers are ad blind. In fact, 86% of consumers are ignoring your banner ads. It’s not that the ads aren’t aesthetically pleasing, or that the offer is bad. Users have just learned to ignore ads. When banner ads first were used, click-through-rates were astronomical. It wasn’t out of the ordinary for an ad to have a CTR of 20% or higher. Eventually, users started recognizing common ad types and ignoring them. Now, users do the same thing inadvertently. People are so used to seeing ads that they’ve trained themselves to ignore them all together. This is a major issue for publishers because even the best looking or convincing ad really isn’t seen by the user. What can be done to solve the issue of ad blindness? Native ads. These are ads that are integrated closely to your content. The idea is simple: blend the ad into the content itself. When native ads are used, banner blindness is reduced and causes more people to see the ad and potentially click on it. Change ad colors: Ad colors that are not in contrast with your site’s design will flow better. This will reduce the amount of banner blindness of the user. Text ads: Using text ads within the flow of the content will negate banner blindness. You must be very cautious when incorporating native ads. If you’re using AdSense in particular, native ads that are indistinguishable from your website’s content may be against terms of service. The goal of eliminating ad blindness only pertains to ads that require a click for you to be paid. If you’re using a CPM ad, there will be no difference in revenue. Videos are known to be a more effective form of advertising. With video, a viewer is able to listen to an ad, visualize a product and feel a personal connection with the brand displaying the ad. Video ads are also more costly, which results in higher revenue. Many banner ad networks have incorporated the use of video ads into their program. You may not find the traditional 468 x 60 ad in video, but large ad blocks, such as the 728 x 90 or the 300 x 250 size will often offer video ads. These are ads that routinely pay more, but there is an issue: they can turn visitors away from your site. Some sites fare much better when using video than others. Image-heavy websites that display video ads will often not see a major drop in traffic when using video. A site that is filled with informative text may have visitors leaving the page (if an ad is auto-played). Opt for videos that do not auto-play when loaded. Video ads can greatly boost your revenue, but they need to be tested thoroughly to ensure that your website visitors aren’t abandoning your site as a result. How can you find out which areas of your page your visitors are focusing on? Everyone hopes that they fully understand their user behavior and their content is exactly what their users are focused on, but hope doesn’t paint a clear picture of their user’s actions. What part of the page do users stay on the longest? How far down do users scroll before leaving the website? Which areas of a page do users click most often? These are all questions that heatmaps can help answer. You can’t play a guessing game when it comes to your ad revenue. 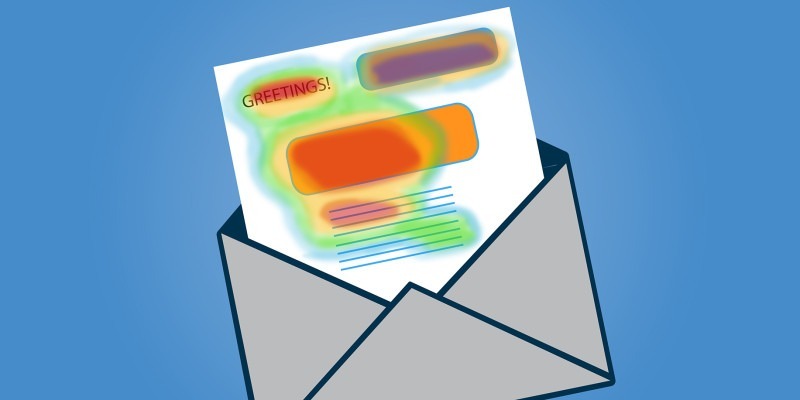 Instead, you will want to use heatmap tools (10 recommended heatmap tools) to adjust your ad placement to “hot spots” on your website. Many websites are advised to keep their banner ads above-the-fold. Ideally, ads are to be placed so that they can be seen immediately when entering a site without any scrolling needed. If users tend to scroll, you may be able to place ads lower and see optimal results. By knowing how far down a user scrolls, you’ll be able to adjust your ad placement accordingly. Where on the page is the user’s mouse? Where do users click most often? If you’re trying to boost your CTR, it makes more sense to place ads in areas that have your visitor’s attention. Even if you don’t want to place ads in your content, you may find that users click on the right side of the screen, so a skyscraper ad that is properly placed may help boost your revenue. It’s all about testing, but heatmaps provide publishers with invaluable insight into where their user’s attention is focused. More isn’t always better. Some ad networks, AdSense for example, will display the best-paying ad first. This means that an ad placed at the top of the screen will receive more money (if clicked) than an ad that is clicked toward the bottom of the page. It all relates to relevancy. The best ads are displayed first and are the highest paying. If you place an ad high up on the page and it receives fewer clicks than the second or third ad, you’re losing money. Determine which ads are most profitable. Remove ad placements that aren’t profitable. Using AdSense as an example, you can use 3 banner ads on a page. Reducing this number to 2 or even 1 will provide a better user experience, and will often lead to higher revenue. This is just an example, but it gives you a good idea of how you can use all of your ad real estate without using just one network to boost revenue. Note: Ad networks all have a unique terms of service. Ensure that you can safely integrate an ad into your website without conflicting with another network’s terms of service. Some websites will never realize their true revenue potential because users won’t click on their ads. A good example of this is forum websites. While many forums have thousands of active users on at one time, the vast majority of these users will ignore the ads on the site. The more often a user is on a website, the more banner blind they tend to become – it’s a major problem. Even the most popular sites in the world (Reddit for example) can’t seem to find a revenue model that works well for them. While Reddit is an entirely different case due to user backlash any time ads are mentioned, most websites do have an option to move away from clicks and move towards a CPM-based revenue model. 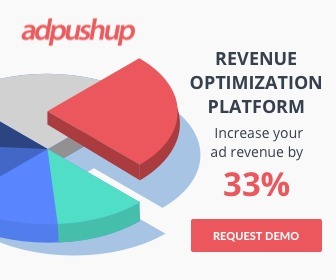 Instead of being paid every time someone clicks on one of the ads displayed on your site, you will be paid based on the number of views an ad has received. This is done on the basis of every thousand people that have viewed the ad. There are a lot of CPM networks to choose from, and rates can vary from pennies to several dollars per 1,000 views. Does it pay as much as CPC or CPA ads? No, but it is a great option to add to your revenue. When a user opts into a newsletter. When a product is purchased. In the event of a product being purchased, you may receive a large portion of the revenue in the form of commission. This is a great model for websites that review products or have products that relate to the website’s niche that are purchased often. There are a lot of optimizing strategies to choose from, but always keep your users in mind when implementing ad changes. You may find that visitors tend to leave your site or won’t come back because of too much ad usage. Keeping visitors happy and optimizing ad revenue should be the main goal of every publisher. Did we miss your favorite strategy to optimize banner ad revenue? Let us know in the comments below.